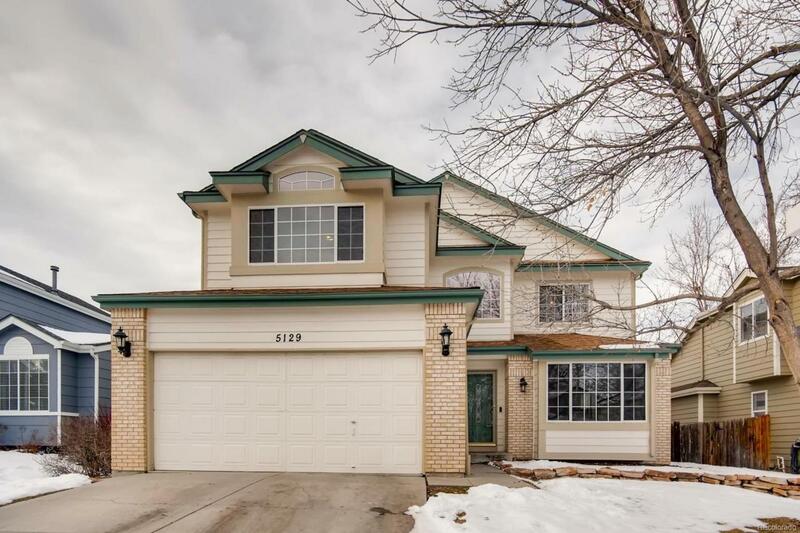 Amazing Castle Rock Location Meets Updated, Spacious, and Totally Move-In Ready! You'll fall in love with this home the moment you enter and notice the way it's been lovingly remodeled with perfect on-trend choices. The heart of this great open floorplan is the lovely family room with soaring vaulted ceilings, amazing wide plank floors, big picture windows that flood the space with natural light, and a feature gas fireplace. The kitchen is a fabulous place to cook and entertain, with a great center island, lots of counter and cabinet space for prep and storage, and a sunny eat-in nook. There's a rare main floor bedroom (or study if you prefer) and formal entertaining and dining rooms perfect for hosting special events for years to come. Upstairs the updated master suite is quite luxurious with a 5-piece en-suite bath, and there are 2 additional bedrooms and full bath as well. Come visit today!